Summer has opened her long light filled arms wide, and she was spilling soft kisses all along the West coast of the British Isles yesterday evening. Not a whisper of a breeze stirred the air, and the birds sang their tiny hearts out in thanks. 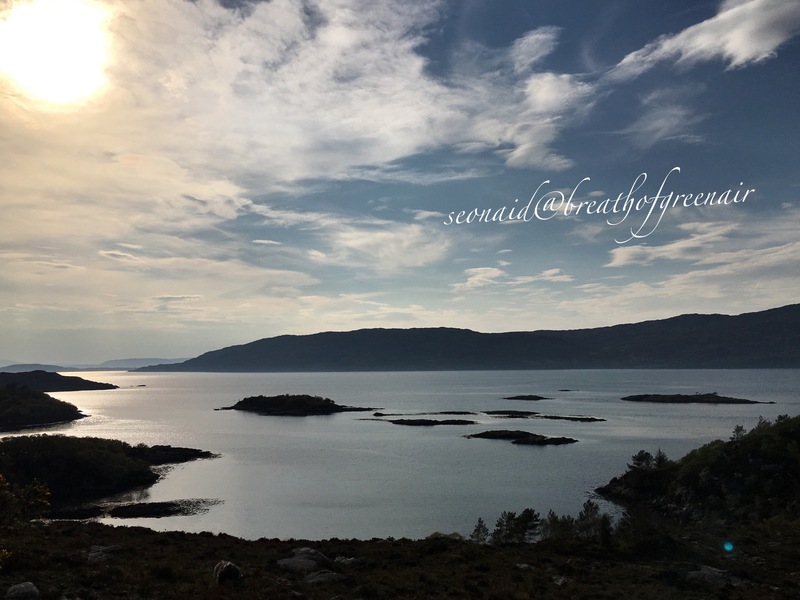 The hillside buzzed with the contented drone of bees among the orchids and heather, and the seals swam in for and evening song among the gold fringed waves of the shore. She has come early with her gifts of long warm sun filled days, and she is drawing fresh life from earths dark folds, with her steady brightness. 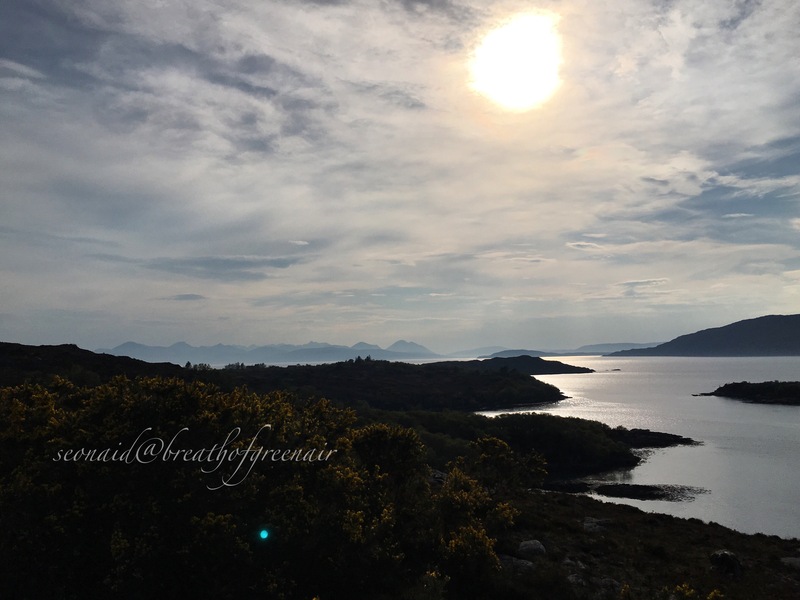 This entry was posted in Celtic, mindfulness, nature photo and tagged druid, Highlands, landscape, magic, mindfulness, nature, photography, scotland, seascape, summer, travel. Bookmark the permalink. You paint a picture in words of an idyllic season. and your photo echoes that feeling. I hope you have a good warm summer of sunshine. Yes, it is here…again we are rejoicing. Beautiful ohotos and beautiful words. Thank you for kissing us! Simply lovely Seonaid, and we had all the wind down here by the way! Maybe tomorrow will be better? Ohhhh so MAGNIFICENT!! I was immediately drawn in. I felt I was there. What an amazing view to wake up to! Thank you for your love of nature as I too relish in it! Always so delighted to read your lovely feedback Gwynn💕 It’s been amazing up here today….summer has kept up her promise of last night! What a gorgeous tribute to summer days, Seonaid. 🙂 Long may they last.